The EuroVelo is a network of long-distance cycling routes in Europe. 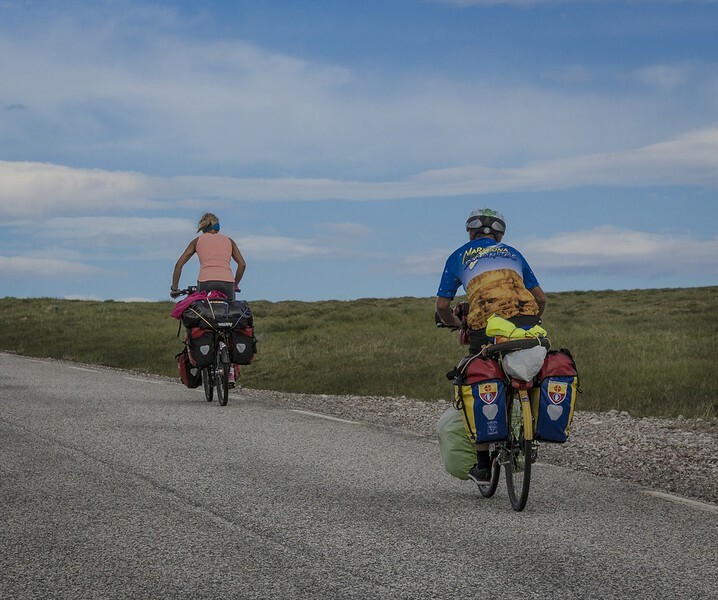 This photo essay highlights road cyclists undertaking the EuroVelo I, riding thousands of kilometers from a destination in Central Europe to the North Cape of Norway, the northern most point in Europe. This demanding endeavor is a bicycle adventure that only the most physically and mentally fit cyclists are able to undertake because one rides long distances and fully self-contained in remote areas without a vehicle to accompany them and provide support along the way. I captured these five images of two cyclists riding above the Arctic Circle near the North Cape.